With the iPhone 6, Apple has yet again broken new sales records — and the two iPhone models aren’t even in stores until Friday. Such consumer loyalty and fanaticism spurs a lot of questions. Like, just how faithful are Apple users? Do other companies come close? 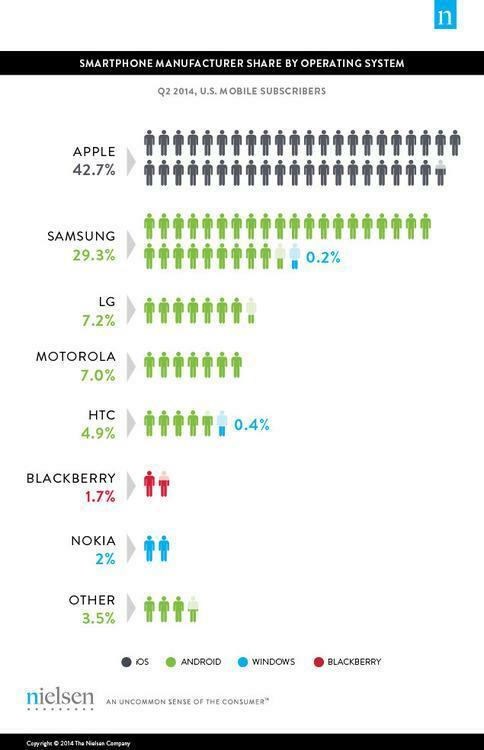 And where are all these smartphone customers, anyway? Let’s take a look at the charts. 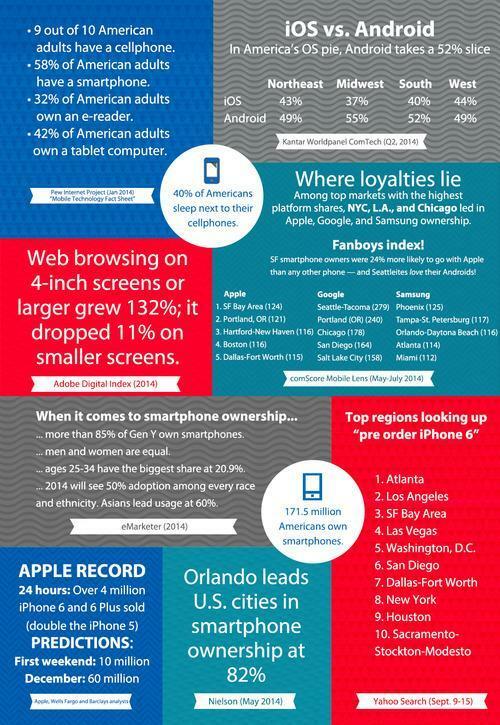 During Q2 2014, 43% of U.S. smartphone owners who own a device by these manufacturers own an Apple iPhone. 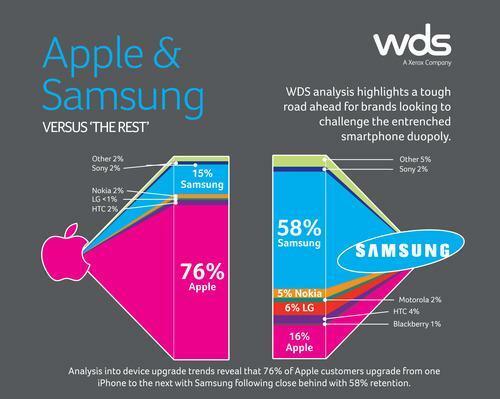 But with Apple having a lock on its own mobile operating system, iOS, it dominates among brands. 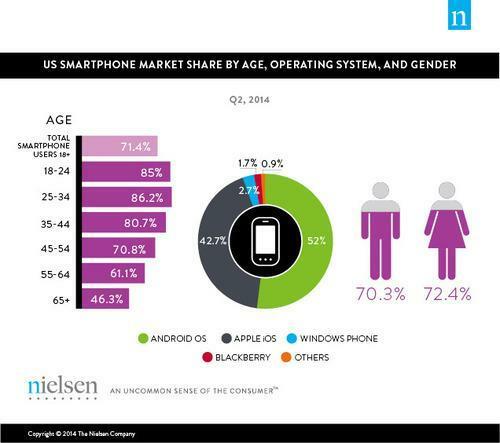 During Q2 2014, 52% of U.S. smartphone owners used a handset that runs on the Android operating system. 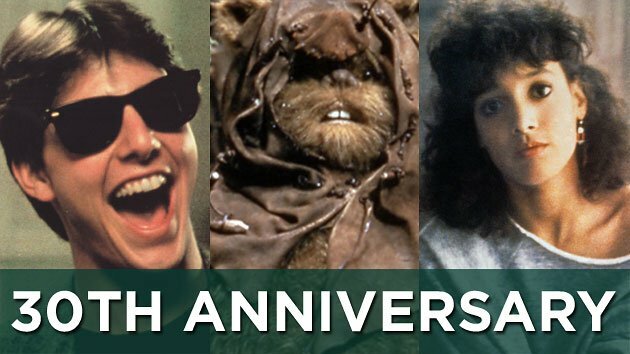 There are just a few more factoids we couldn’t resist throwing in, which have nothing to do with Apple vs. Android (as far as we know). As we measure how smartphones are changing behavior, finding where we indulge in our pleasures can also be insightful. 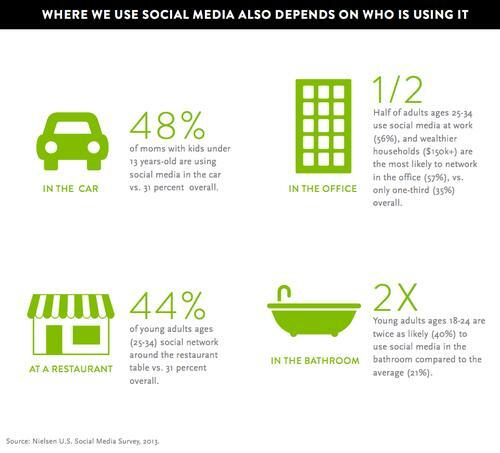 One Nielsen study drilled down smartphone social media usage not just to cities, but to places like cars, offices, restaurants and even thelavatory. A new generation is using the water closet while checking up on their connections. But what about Uncle John?